Zombie Nation’s ‘Zombielicious’ Album was released on ZN’s own UKW Records imprint in 2009 on double Vinyl, CD and digital. The CD artwork is a clear CD tray with a white circle which was screen-printed by hand directly on the jewel case. 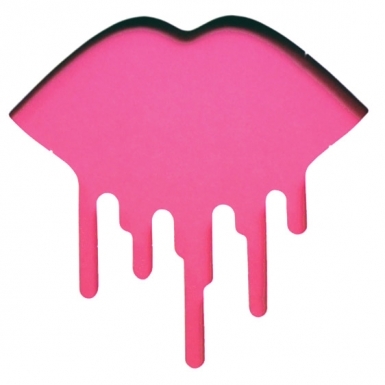 The distinct dripping lips logo was designed by Beagle at Designliga Munich. On the CD case it is interacting with the CD print underneath, creating a multi-layered three dimensional artwork. The double 12 inch vinyl release has a cutout of that label, creating a related effect between inner- and outer sleeve.